Phoebe Bridgers performs during SXSW. 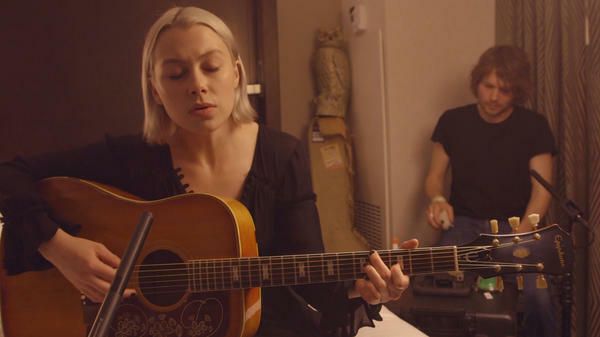 Stripped of the strings on the studio version, there is still a sweeping quality to this acoustic performance, something like Low's elegiac waltzes blurred into open chords, suitcase percussion, children's toy bells and vocal harmony. You can't help but hang on for dear life.